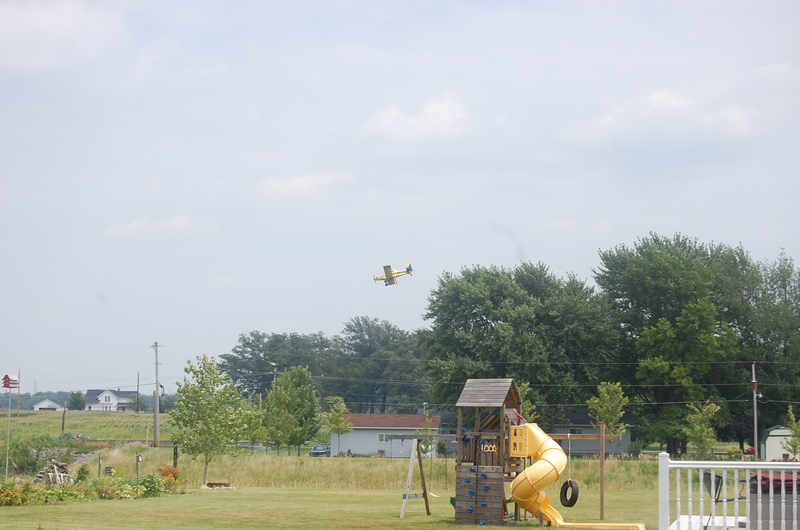 It’s not unusual to hear airplanes going over our house because the airport is fairly close to us. 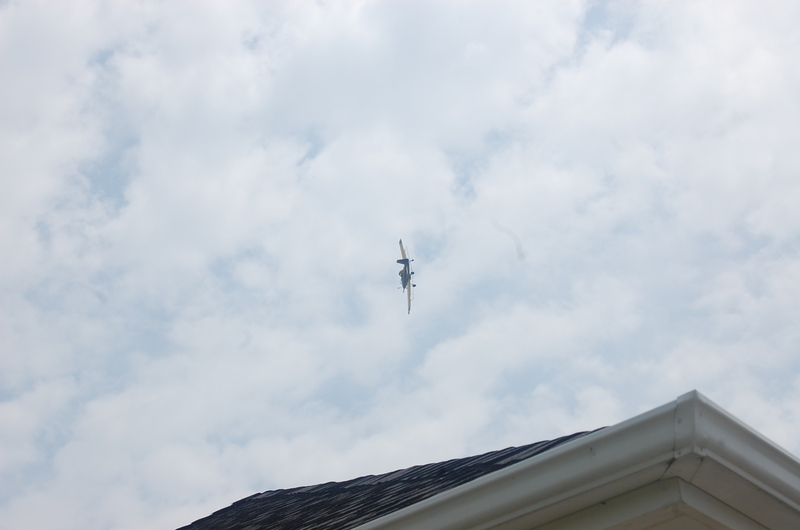 On Saturday there was an airplane that had me worried though, it was uncomfortably close. The pilot had very much skill, going up in the sky and turning sharply, but your mind can think the worse thoughts. This picture looks like he is going to land on the road. 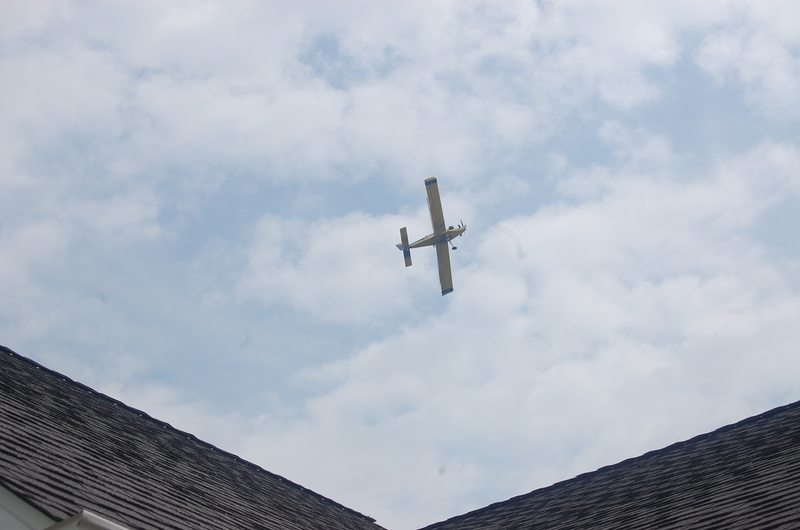 Here it is going up in the air over the house to do his quick turn. 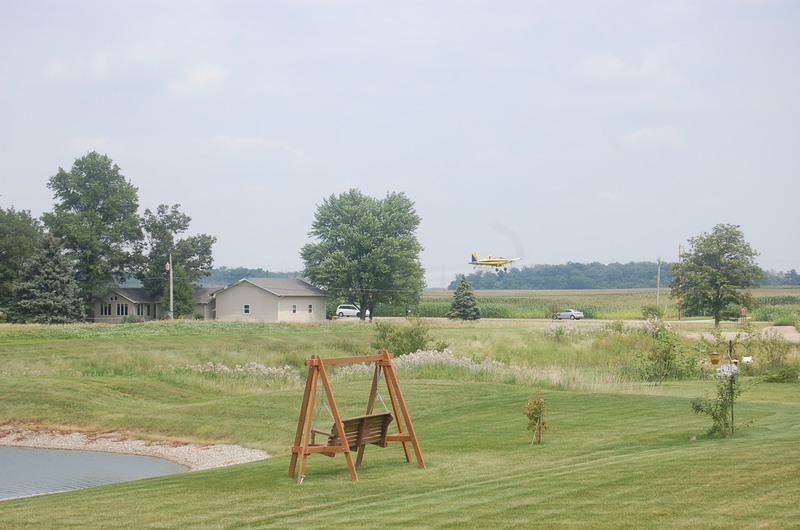 I am grateful that our neighbor was out and he informed me that the plane was a crop duster. I was truly unpressed with the skill of the pilot. I believe this happens every year, Sometimes I am home but I forget and it takes me by surprise. It is very interesting to watch for sure. On Sunday we had company for the day. Tom’s cousin, wife and kids. It was a really nice and fun visit. 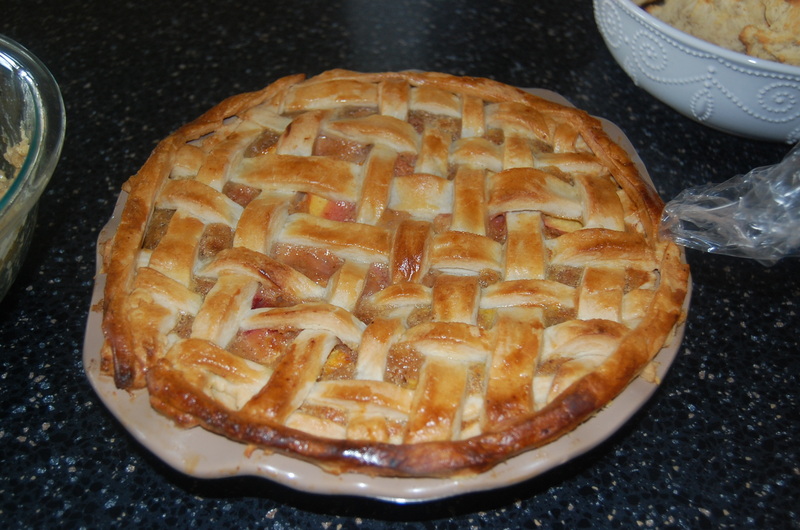 Katie made the most beautiful and delicious peach pie! As Kevin put it, “This is the best thing on this side of heaven”! 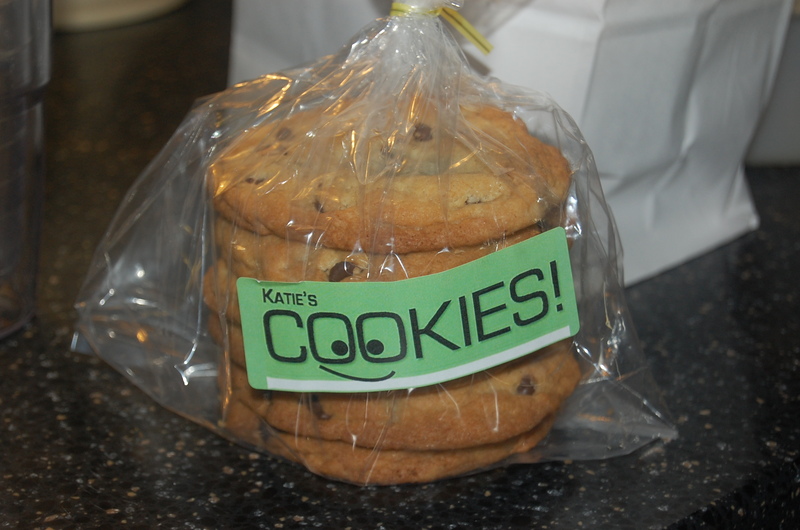 Katie also brought us some big, fat, chocolate chip cookies. Two packages, they disappeared quickly! She put this really cute and clever sticker on it. 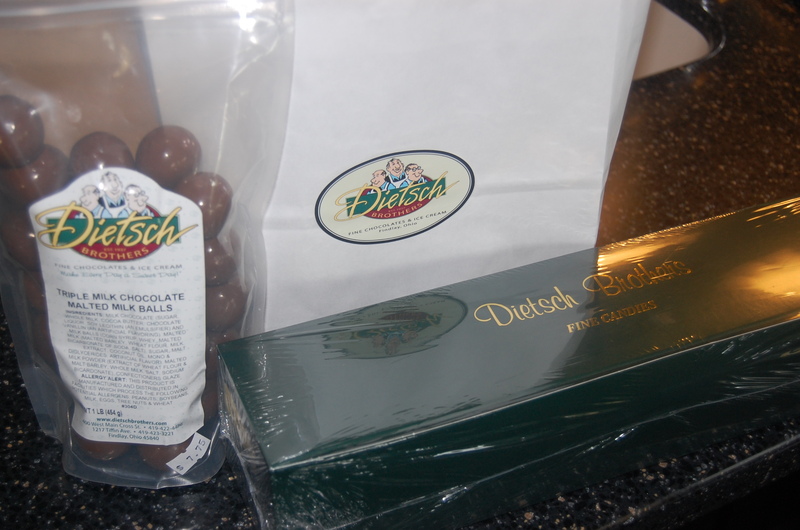 I also asked if they would bring us two bags of triple dipped malted milk balls from this fantastic ice cream/candy shop. They generously threw in chocolate covered pretzels also. Tom says that these should be a controlled substance because they are terribly addictive! Here is their website, it is just a heavenly place to go if you are near Findlay, Ohio. It was just a surprising weekend…was your’s?? Thanks for stopping!